We give 3 points for coming in first place, 2 points for coming in second place, and 1 point for coming in third place at each of the three competitions. 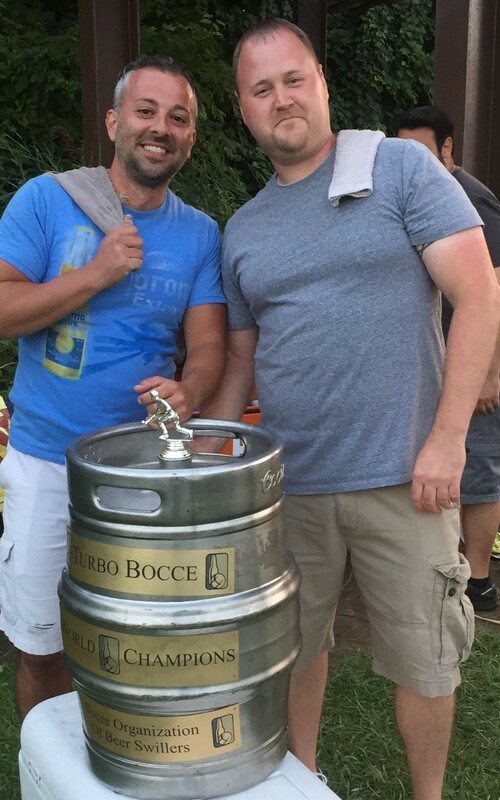 The second triple crown event was the Turbo Bocce championship, held Saturday, August 19th for the Wednesday League and Saturday August 26th for the Tuesday League. The final triple crown event is the Syracuse Italian Fest which took place Saturday September 16th. If you don’t remember what happened you can read the recap HERE. Here are the total triple crown standings for the year. 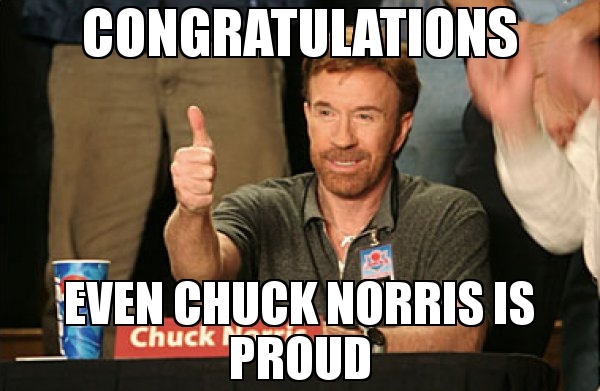 Congratulations to everybody! Its a true accomplishment to earn even a single point in the triple crown standings. Here’s a triple crown earning shot from this year. Triple Crown standings have been kept since 2013; maybe surprisingly one year before the one on one tournament started. 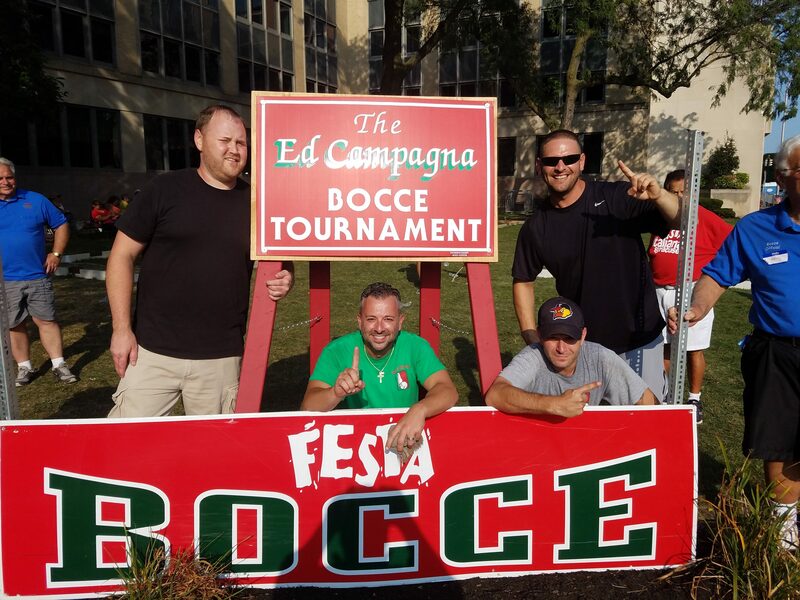 In that first year the Syracuse Bocce Blast (the largest bocce tournament in the history of Syracuse) was the third event in place of the one on one tournament (the Turbo Bocce championship and Italian Fest bocce tournament were still the other two). If you look at the top of the standings of all three events this year, you might notice (how could you not?) that the same guy is sitting at the top of each with a 3 next to his name. That’s never happened before. Bryan Mullane became the first person to actually win the triple crown. A triple crown consists of winning the one on one tournament, the Turbo Bocce championship, and the Syracuse Italian Fest bocce tournament. Doing this equates to 9 points in the triple crown standings which is, of course, the all time record – but it is not the highest point total possible. It is possible to earn 12 points in the standings. To do so you’d have to play in, and win, both the Tuesday League and the Wednesday League along with the one on one tournament and the Italian Fest. 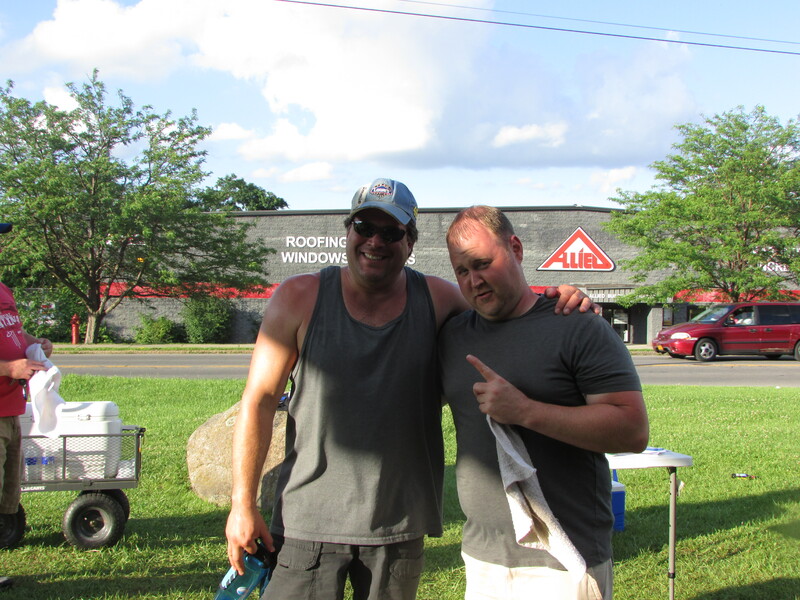 Greg Griffo happened to win both the Tuesday League and the Wednesday League this year, so even though he did not participate in the one on one tournament and did not win the triple crown, he did join his partner Bryan in setting the all time record for most triple crown points ever recorded. What do you think is more impressive: winning the one on one tournament, the Tuesday League, and the Italian Fest; or winning the Tuesday League the Wednesday League and the Italian Fest? I suppose that’s a question for the philosophers. In lieu of these historic accomplishments, it only seems appropriate to recount the list of top triple crown seasons ever . . . Some interesting trivia, the only people to finish in the top 3 for all three events in a single season are Bryan Mullane this year (obviously), Phil Martino in 2014, and Mike Aylesworth in 2016. I know what you are waiting for, a definitive statement that Bryan Mullane is the best bocce player in the world. Well, judging people is something only God can do . . . so yes, Bryan is the best bocce player in the world. Congratulations Bryan! If Hank Aaron saw you playing bocce he’d call Michael Jordan and tell him that they both wasted their lives.